Take the stress out of house training and get positive results - fast. Learn how to: - Teach your puppy or dog to toilet on command using positive reinforcement Manage the environment to aid success Importance of effective clean up Feeding regimes to maximise success and more . . . 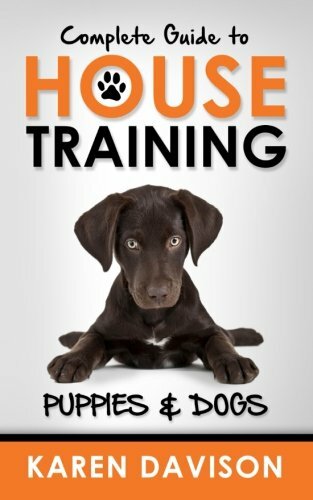 This guide also explains some of the most common mistakes that may slow down the success of house training - and how to avoid them. Other relevant information also included: - Diet Nutrition Neutering and more . . . Her first publication, The Perfect Companion: Understanding, Training and Bonding with your Dog, a comprehensive guide to canine psychology, training and problem solving, was published in June 2012 and won an IndiePENdants' award for quality. Since then she has published The Complete Guide to House Training Puppies and Dogs, Companion Huskies: Understanding, Training and Bonding with your Dog, and three Fun Reads for Dog Lovers: A Dog's Guide to Humans, A Dog's Guide to Cats and It Shouldn't Happen to a Dog Trainer. Karen is now living the dream, she resides in a country cottage on the west coast of Ireland, drawing inspiration for her writing from the peace and beauty of her surroundings where she shares her life with her husband, two daughters and nine special needs pets. Her seven rescue dogs and two rescue cats have a mixture of emotional, behavioural and physical disabilities.